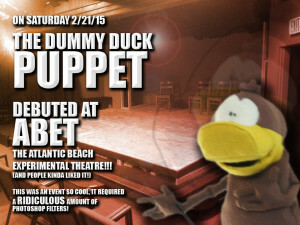 This page is all about the puppets! 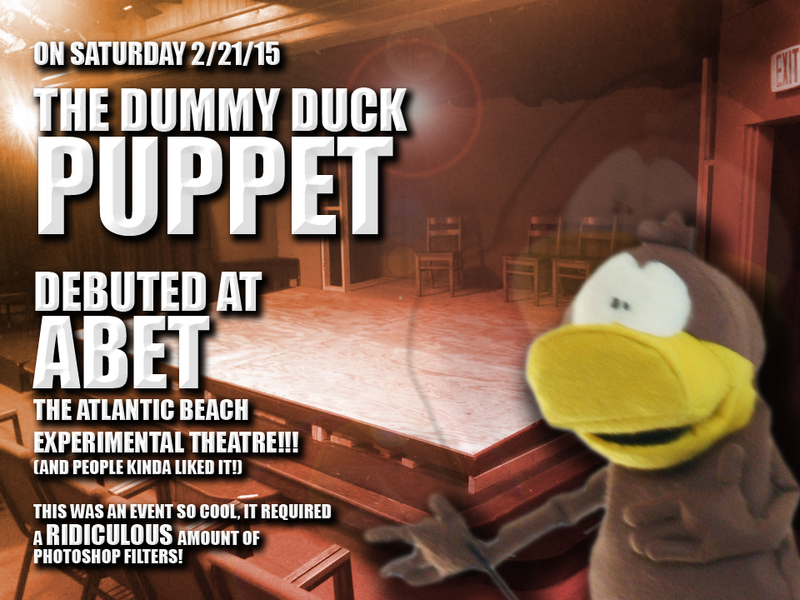 The Dummy Duck Puppet had it’s debut performance at the Atlantic Beach Experimental Theatre! 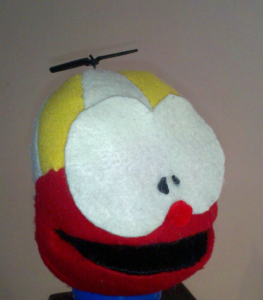 There’s also a… Lil’ Red puppet! Foo-Foo puppet? 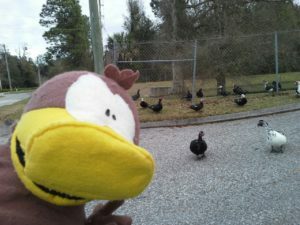 Well… I’m not done with it yet!